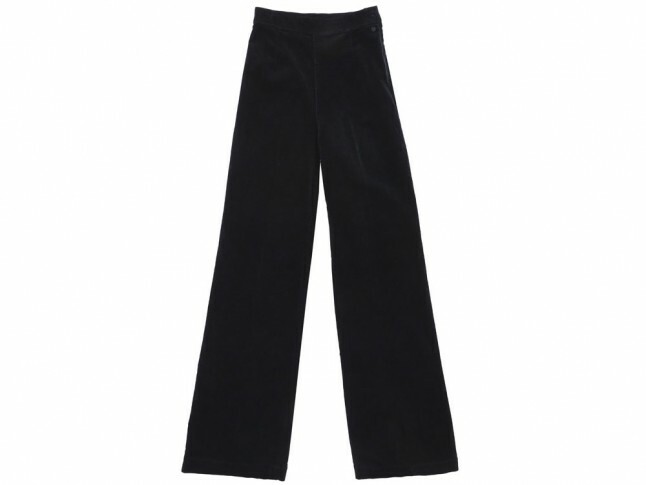 Alexa Chung’s AG Jeans collection is back. 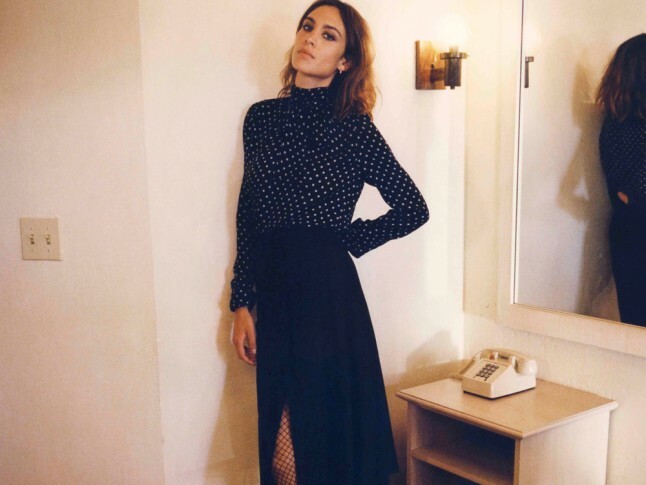 That’s right, after the first sell-out collection way back in January, Alexa Chung is back with an equally cool follow-up range, that’s every bit as good as the last. Should you not remember the first Alexa Chung for AG Jeans debut, it mainly consisted of denim everything, scattered with a fair few casuals and plenty of not-so-casuals. 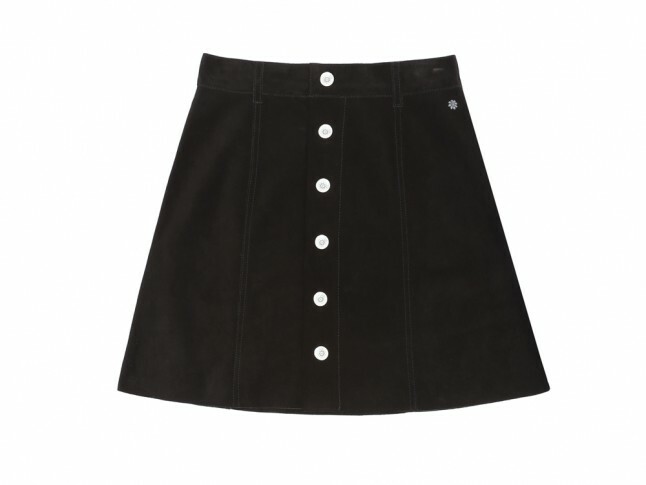 Remember that micro A-line skirt you just had to have? Those achingly cool cropped dungarees? 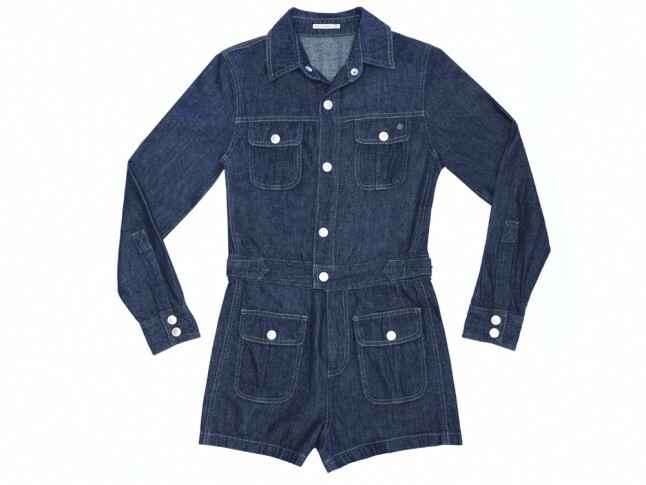 That long-sleeved button-up denim dress? Yes, it’s safe to say Alexa knows a thing or two about do-it-all denim. And this season, Alexa is onto the next area of our wardrobes, mixing-in some eveningwear essentials to fully showcase her designer nous. Naturally, as something of a Brit fashion icon, Alexa has tapped into those new-season wardrobe staples, offering up sleek midi skirts, skinny knits in cool khakis, and slim-fit trousers in autumnal tones. Alongside those easy hero buys, you’ll find plenty of Alexa-inspired, trend-led pieces to liven-up your AW15 wardrobe. Suede is a major player, and brings a vintage vibe to this grown-up collection. As is lace-up detailing (found in the form of black micro shorts), cropped flares and plenty of slogan knits. And explore she did. 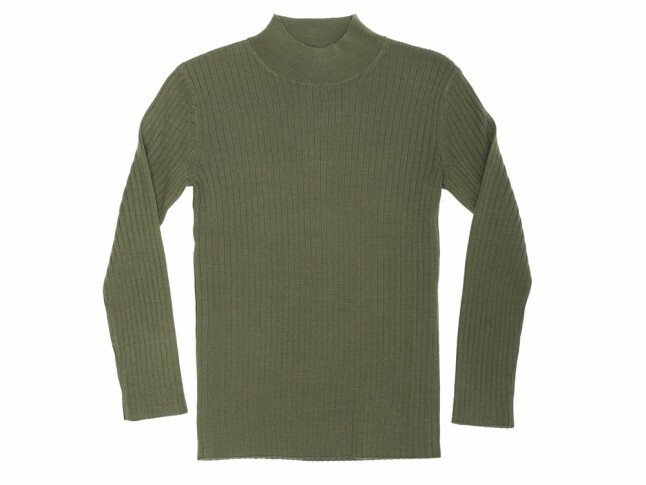 In the new range you’ll find richer, more luxurious fabrics. Feminine cuts and a focus on sophisticated styling is what makes this new offering even more appealing. We’re wishing for pretty much all of it, but should we have to choose just one item? It has to be the suede edge-to-edge, beautifully embroidered jacket. So vintage, so wearable, and essentially so very Alexa Chung. Set to sell out at an alarming rate, and said the be the last Alexa Chung AG Jeans collection, we would advise securing your favourite buys in an efficient and super-speedy manner, or run the risk of missing out on one of the chicest fashion collaborations this season. Here’s our 6 favourite buys from the Alexa Chung AG jeans collection, available to shop online at Selfridges from 23rd July. There is nothing we don’t love about this coat. Wear over silky shirts, crew-neck knits and A-line dresses. Think you don’t need a denim playsuit for AW15? Think again. Didn’t manage to snap up the denim SS15 version? This is the one for you. Because who doesn’t need a grey marl logo knit? Go retro and team with a boho blouse to totally nail the 70s look. We’ll be wearing our new khaki knit with a pair of cropped culottes and suede ankle boots.